Magic is much more than sleight of hand. It’s the ability to guide perspective, spotlight influence, and challenge belief systems. With humor, heart, and captivating showmanship, Vinh Giang transforms these three powerful components and shares how creating and cultivating the RIGHT influence in our lives can make the difference between tremendous success or limited mediocrity. What we know in this world is that everything that once seemed impossible can be reimagined and overcome. It takes suspending old belief systems. Unlocking mindsets. Innovating. Deliberate and definitive action. And yes, even a little magic. Invite wonder and unlock limitless potential in your team by inviting Vinh to speak at your next event. There is very real magic in the powerful ability to communicate at extraordinary levels. It allows people to shift mindsets. To close deals. To build relationship bridges. To overcome objections. To connect in ways that foster leadership, teamwork, and exponential growth. 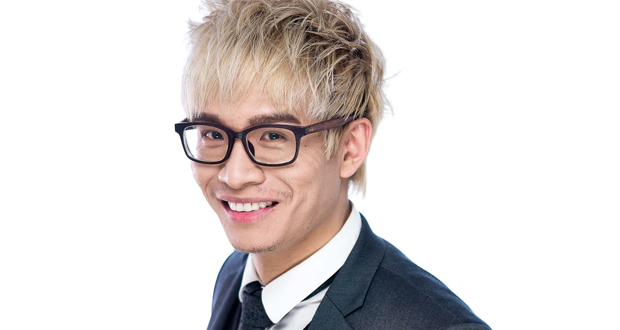 Master communicator, magician, entertainer, and keynote speaker Vinh Giang captivates audiences with the tools, skills, and strategies that allow them to transform themselves into dynamic communicators. The lessons learned in this non-conventional, no-box-at-all workshop are much more than just learning to speak to each other as human beings. With years of innovative study in theatre, arts, and speaking -- Vinh shares visionary insights that help strengthen and build self-confidence. Put fear in the rear-view. Teach your team to be more fluent and flow with clarity in their words. Deliver with authority. Rise above the noise of the crowd and stand out as leaders in their business and their lives. If you’re ready to create a magical communication transformation for your team that will take them – and your business to entirely new levels, invite Vinh to speak at your next event. For many years Vinh Giang (pronounced Jang) has noticed the common threads between the world of business and the world of magic. He believes what makes him unique as a speaker is his ability to speak about important business and motivational concepts in an interesting way. The way he does this is by using magic as his metaphor when he speaks. This keeps people highly engaged and helps make the “medicine taste good”. Vinh is first and foremost an entrepreneur. While in his 20s, he started an online business with two good friends; all of them had decided to leave their careers in accounting and pharmacy, to pursue their dream of building a successful business. Their online platform, Encyclopedia of Magic, now teaches magic to almost 50,000 students around the world. For this innovative and successful business idea, Vinh and his friends were awarded Young Entrepreneur of the Year. By creating a fun and highly entertaining atmosphere of illusion, each key business concept is driven home in a truly profound and creative manner. "Do it! He is outstanding! Vinh is entertaining, inspiring and most personable. We are already talking about re-booking him in 2021." Vinh’s message is one that resonates with any group and...his magic act is fantastic and appreciated by all. Vinh was a pleasure to work with! We highly recommend him! "Vinh was a hit! We highly recommend to any interested parties. He was very dynamic, engaging, and entertaining. He kept our audience of 1200+ at the edge of their seats. He made us laugh a lot and our group loved the audience involvement as well." "Vinh was extremely entertaining while conveying a positive message of changing one's thinking. A very different type of keynote speaker very much worth considering. Also easy to work with prior to the engagement, wanting to ensure that he would be on-target for our type of audience." "Vinh did an excellent job presenting for our Conference. I consider him to be very reliable, prepared, and professional. He took ample time pre-conference to speak with me to better understand our audience, and held the audience's attention for his entire presentation." "I would fully endorse any group to add him. He engaged with our group before his presentation, sitting down performing tricks. However, he was even more valuable once he got on stage. Vinh is not a magician. He's a tremendous presenter, who incorporates magic to enhance his message." "I have never seen any speaker like Vinh before, he's so young but wise beyond his years." "Vinh you've changed my life." "Vinh you were the highlight and after one week everyone in our company is still talking about you!" "You are absolutely a delight to watch on stage and when you come off stage you are the most humble and human person I've ever met." "As a conference organiser I've worked with so many speakers and you my friend are in the top 1% of speakers I've ever worked with." "No one has ever got 100% on the feedback form EVER!"